I have been born and brought up in Mumbai and I love this city, but sometimes this city gets to me when the schedules are super busy and I just feel like I am on the run all the time! At these times I want to escape the rut of my everyday life and go to a place where I can forget everything and just relax. The bane here is that there is hardly enough time to go anywhere out of the city, and that is when having some awesome hotels within the city of Mumbai becomes a boon, because I need to head nowhere else and just there to enjoy my STAYCATION. 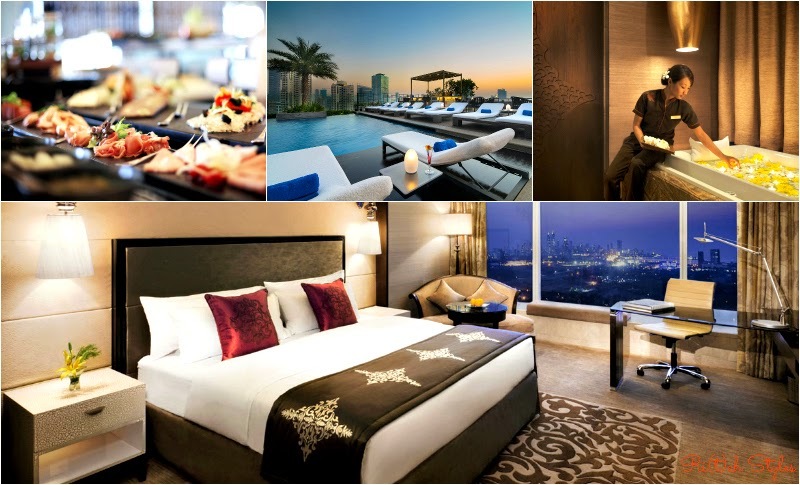 I'm going to give you a peek into the wonderful hotels in Mumbai that are my favourite getaways when I need my breaks. 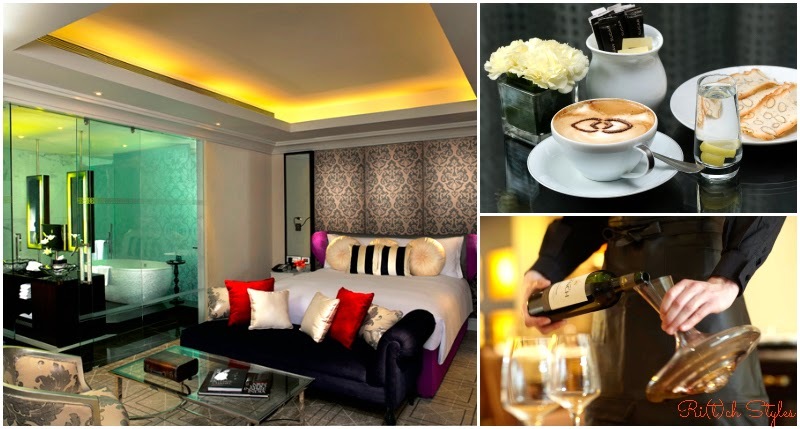 The Sofitel hotels are known worldwide for their French hospitality and the Sofitel Mumbai BKC reflects a mélange of two cultures – India and France. They have a special Staycation package especially personalized for you and your sweetheart called the ‘Romance @ Sofitel’. Their luxury rooms entice you with their French in-room amenities and a chilled bottle of Champagne, and the best of service from the minute you enter the hotel until check-out. The couple is given a pre-stay form to fill-in informing the hotel of their preferences so that your stay can be totally customised. A 90-minute indulgent couple spa treatment at the signature So SPA and personal service by the hotel’s Chef for a candle-light dinner or breakfast in bed, all these just revive all the romance in your relationship again. If you are in the mood for some multi-cuisine, their all-day dinning Pondichéry Café is perfect. Check-out is taken care of in a jiffy and you can be well out on your way in no time but then who wants to leave after such a brilliant time. This place spells tranquility for me which is very difficult to get in a city like Mumbai. Situated on the banks of Lake Powai, it offers you the much needed break among natural surroundings like the beautiful lush gardens that it has. A beautiful view of the lake while you sip your cup of tea or lounge on the bed in your room is pure luxury. Indulge in different cuisines at it's various restaurants - Fratelli Fresh for Italian, Nawab Saheb for Indian, Emperor's Court for Chinese or Lake View Cafe for its all day dining. You can even choose to unwind at the A Bar which has a brilliant cocktail, scotch, and wine selection. Head to the spa for some more relaxation or lounge by the pool which is by the lake side, trust me you are sure to feel totally de-stressed after a break in this place. Their weekend package has all meals included and a bottle of champagne waiting for you in your room when you check in. This is one place I repeat because it totally helps me unwind. Well these were my favourites though there are many more options tahe you can conseider like the J W Mariott at Juhu, the Novotel Hotel at Juhu or The Resort at Madh/Marve. 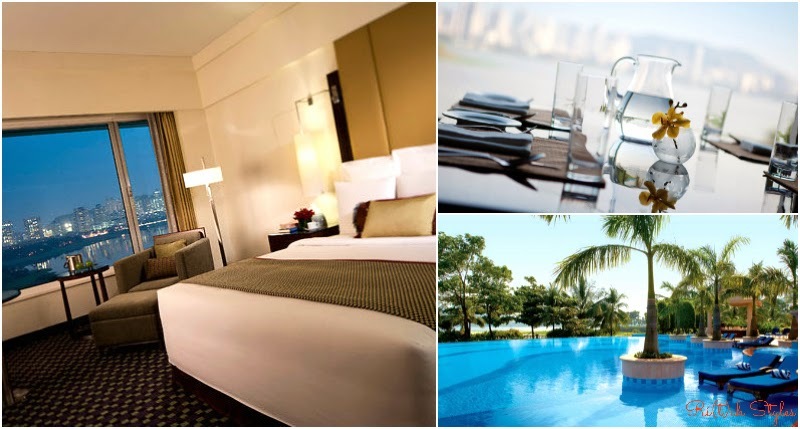 Hotel bookings in Mumbai are very simple to do either through the various online travel websites, or directly through the hotel websites and these packages/stays can be booked in a jiffy. Have you guys every gone on a STAYCATION? Do let me know your suggestions, I would love to try them out!